If you have been charged with a operating under the influence of alcohol, the most important move you make is consulting a competent attorney. Don`t take a chance with your future. A knowledgeable attorney can make a huge difference in the final outcome of your case. Mitchell Wallman is dedicated to protecting your rights to the fullest extent of the law. Confidentiality is an issue for many people facing the stigma of an operating under the influence convictions. I understand this concern, and make absolutely certain your information remains confidential. 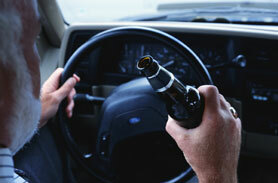 Should you fight your OUI charge? You need guidance to understand the charges against you and the way to come through the experience with the least losses possible. After all, an OUI conviction can cost you your freedom, your wealth, your privilege to drive, your job, and, sometimes, the stability of your family. If you have been accused of this crime Call me at 978-531-8100 or use this easy contact form.